As John Maynard Keynes so eloquently put in his book “The General Theory of Employment, Interest and Money” nearly 80 years ago, investing is about the long term. If we just thought of investing like so many other long term focuses in our lives, we would all no doubt be better at it. Our job as wealth managers, not investment managers, is to make sure that our clients continue to take a longer term view and keep the “contemporary evils” from getting in the way of sound advice. Despite our long term focus, as investment managers in addition to wealth managers, we must also keep an eye on the near term to either protect against a downturn or seize opportunities in the ever-changing market environment. While long term we see troubling issues facing global markets and economies, there may be some near term opportunities which we will address. Overall, market fundamentals are in good but not great shape. Worldwide economies are slowing and uncertainty continues to dominate headlines, but it’s not a reason to head for the hills. In addition, with a backdrop of continued low interest rates (either next to nothing or negative), equities continue to be the only game in town. So while there is a lot to be worried about, the thing that is most in favor of rising stock prices is the fact that in public markets worldwide, There Is No Alternative (TINA) to invest in. 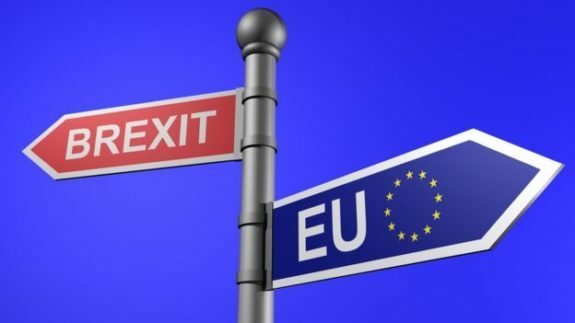 “Brexit” – What does it mean? Expect continued volatility and wild swings as it will take time to sort all of this out, but long term we feel that this has the potential to create extremely attractive buying opportunities. There’s no real change in the way the United States will do business, and, in reality, while there will be some growing pains, the UK was really just a fringe member of the EU anyways. It had its own currency, immigration laws, and a laundry list of exemptions from EU rules. Over the past few months we have been raising cash across accounts by cutting equity exposure as the stock market hovered around all-time highs. We felt that the downside risk of being heavily invested in the stock market far outweighed the potential upside. While arguably “early”, we did this in anticipation of a pull-back. With the “Brexit” vote, it appears that we may be getting the decline and potential entry point that we have been waiting for to put that cash to work. As the next few months start to provide more clarity, we plan to capitalize on attractive investment opportunities created by the decline. 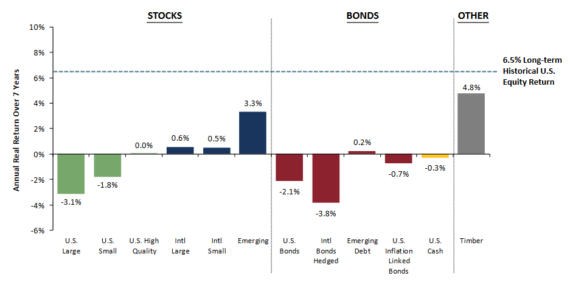 In addition to lower equity exposure, we are well positioned within our bond and alternative allocations. Uncertainty about what’s next will continue, therefore, so will volatility. We’ve been raising cash and are more conservatively positioned than we have been in years. This news and the subsequent downward move has the potential of creating extremely attractive buying opportunities to put that cash to work. 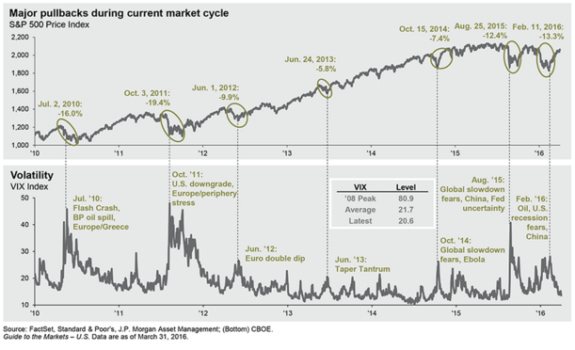 “V” is for the volatility that the market experienced in the first quarter. It’s also the shape which the S&P formed over that same time period. The first half of the quarter consisted of wild daily swings and a sharp decline (down 11%), while wild daily swings and a subsequent sharp increase (up 13%) made up the second half. Despite all of the crazy movements, the S&P 500 ended right about where it started, +1.30%. 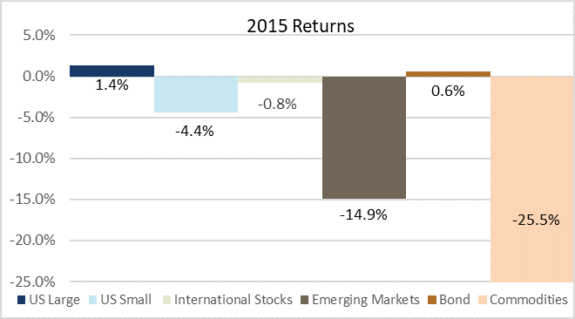 It was a crazy first quarter and an extremely tough one for investment managers. Nearly 80% of Large Cap mutual funds underperformed the S&P 500, and unfortunately, it doesn’t seem like the backdrop for the second quarter will get any easier. Despite the volatility, and the sharp reversal to the upside, the same fears and issues remain: oil price volatility, global slowdown fears, Fed uncertainty, China destabilization, and presidential election uncertainty. Because things have yet to paint a clearer picture, our strategy largely remains unchanged. 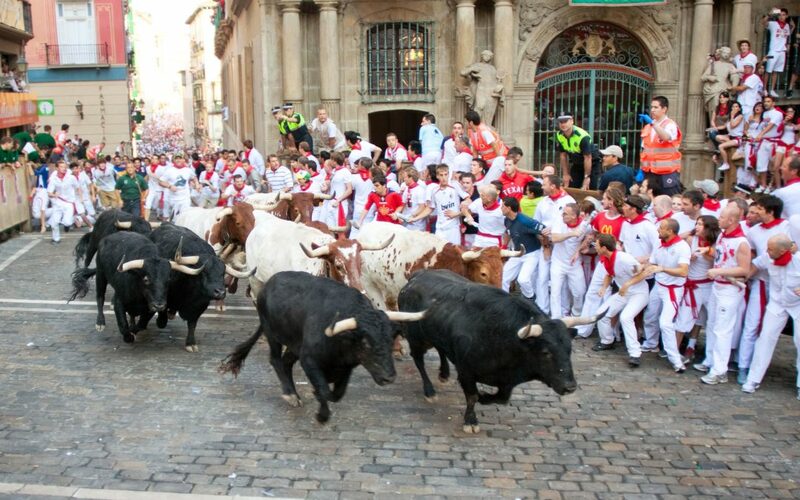 As we enter 2016, we remain mindful that we are in the 7th year of a strong bull market, and as the length of its run grows longer, emotions rather than sound advice and fundamentals tend to drive prices. Volatile price swings in both directions become commonplace and markets move counter to common sense. While difficult during times like this, it’s important to stay disciplined in your strategy and continue to focus on longer term investment objectives. While the trajectory of returns since the March 2009 bottom is unsustainable, we believe that markets can and will continue upward. This doesn’t mean that there won’t be volatility, but people tend to forget that before we hit highs in 2013, the market, on a price basis, had been flat for 13 years. It’s only been 2 1/2 years since that record high, and if history repeats itself, which it tends to do in the investment world, the bull still has room to run.